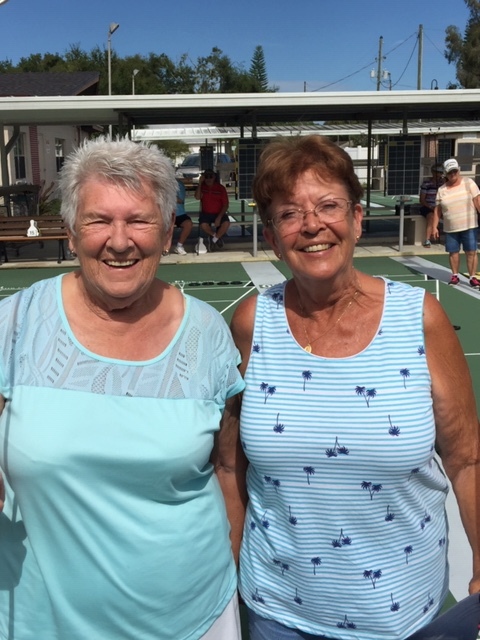 The Tavares Shuffleboard Club hosted the Florida Shuffleboard Association State Championship on Monday, November 5th and the Women’s Division Championship was won by two Club members, Lorraine Layton, the Club President and Cheryl Cole. They swept the field, never losing a game and none of them were even close. To quote Cheryl “They were hot to trot”. 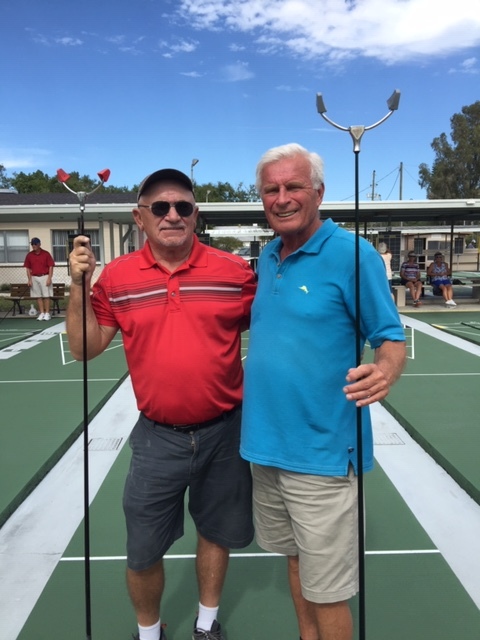 The Men’s Division Championship was won by Walt Bartels of Deltona with a little help from his partner, Earl Ball. They had a tough quarter final match that they were able to squeak out in three games. The semis also went three games but game three wasn’t close and then, as sometimes happens they swept the Championship match with little trouble.